I just want to say how special the benefit was this year. The fact that I had booked The Current with Diana Nowak-Riffel and crew without having ever heard them and being so pleasantly surprised at what a tight and amazing instrumental fusion band they are! The fact that DeeAnn Dimeo Tompkins tore the house down with her renditions of blues/jazz and some r&b with ” Bottom Feeder” Ed Kroft on upright , Reggie “Badass” Evans on drums and vox, and “Smooth” Stu Weissman on guitar. The fact that Kate Engler and her band, Little Sister, had specifically reunited for the event and showed how us 4 ‘mature” ladies can rock the house with da blues! And then Sharon Bailey happened! She came and slayed with her kind words and a song dedicated to me, and did her entire set, with her amazing pipes, a capella! The fact that despite the perfect Fall day, we filled the Sportsmen’s Tavern! The fact that, probably for the first time openly and pubicly, I got to tell my story as it pertained to how important it is to get a second opinion and practice self-advocacy in the face of paternalistic,condesending ,and patronizing doctors. I got to tell how Roswell stepped in and gave me options. The fact that I got to sell my first published book as a means to raise more money for the cause!The fact that Denise Hall told me there’s always a Sunday for me/the FMFBC benefit in October at the Sportsmen’s! All the way around, a moving and memorable 16th annual FMFBC benefit. Please see my long list of thank yous below to EVERYONE who had a hand in making this happen and making it a success! 2. DWANE HALL, DENISE HALL, JASON HALL, AND KENNY BIRRINGER-OF THE SPORTSMEN’S TAVERN FOR THEIR CONTINUED SUPPORT AND GENEROUSLY DONATING THE VENUE, SOUND, LIGHTS AND BACKLINE AS WELL AS SEVERAL AMMENTITIES/GUIDANCE, AND TIX SALES TO ENSURE THE EVENT GOES SMOOTHLY. IT IS ALWAYS A PLEASURE TO WORK WITH THEM. THANKS TO THE HARDWORKING BARTENDING AND KITCHEN STAFF. ALSO THANKS TO DILLON ON SOUND AND LIGHTS! GREAT JOB! 3. 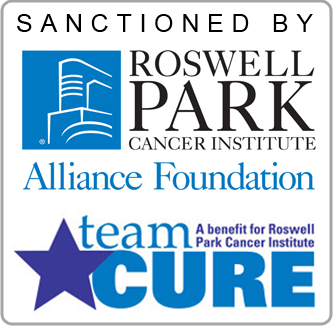 ROSWELL PARK’S ALLIANCE FOUNDATION AND TEAM ROSWELL/JULIA HARVEY & ALEXANDRIA HOUGLUND – FOR THE SANCTIONING OF THIS EVENT AND HELP WITH PROMOTIONS, TEAM ROSWELL KIT, AND FOR SENDING TORI TO REPRESENT HERE TODAY ON BEHALF OF ROSWELL. ALSO TO ANGELA BROWN, WHO RUNS THE WNY BREAST AND GYN RESOURCE CENTER. 4. ED HOENECK- FROM NIGHTLIFE MAGAZINE FOR HIS CONTINUED SUPPORT IN ADVERTISING AND PROMOTING THIS EVENT. ALSO JAZZ BUFFALO ON FACEBOOK FOR A MENTION IN THEIR UPCOMING EVENTS. 5. VANESSA REHAC FOR PRINTING AND DENNIS GRACE FOR SIGN MAKING EVERY YEAR WITHOUT QUESTION. 6. TO ALL THE PERFORMERS: THE CURRENT, DEEANN DIMEO TOMPKINS, LITTLE SISTER, AND MS. SHARON BAILEY! WHAT A GREAT, SUPPORTIVE, SELFLESS, TOP NOTCH LINEUP OF TALENT!! 7. KATIE HILDRETH/NOIZEPRO.COM-THIS YEAR’S ONCE AGAIN OUTSTANDING POSTER DESIGN AND WEB SITE DESIGN AND MAINTENANCE, FACEBOOK PAGE, AND PROMOTION. 8. PHOTOGRAPHER, MIKE MIETLICKI- FOR DONATING HIS OUTSTANDING PHOTOGRAPHIC TALENTS, TAKING EVENT DAY PICTURES! Joe/Allentown Music, Rob/West Seneca Music, Jamie/Guitar Factory, Mark/Guitar Center, Vince/Music City, Paul/Buffalo Drum Outlet, Barry/Terrapin Station, Cathi Grace& family, Tops Markets, Party City, Margaret Freiert, Joan Bellus, Natalie Deluca, Carmen Torres-Bursie, Kim Newland, Kelley Mathieson, Candy Pacitti, Jeanne Frain, Marlene Martin, and all my generous co-workers from ACCES-VR, Bonnie Mertz, Renae Goeckel, Michael/Bomi Jewelers, Kim/Elwood Fire Protection, Max Willig, Kevin Bowen/Industrial Nostalgia, Doreen Deboth/Artsphere Gallery & Studio, Michelle Graves/Blackrock Historical Society, Ellen Bourn, Cindy/City Fare Restaurant, Chris/Mooney’s on Military, Dave/The Phoenix at 269, Vasilis Eggsperience, Hutch/Ernie from Hutch’s Restaurant & The Remington, Onyx/Strange Brew, Amanda/Holistic Organic Skin Services at Affinity Salon, Jeanette Eisenhauer, Dawn McCaslin, Trish Canolli, Darlene Padilla, Richard Sargent/BMHOF, Elizabeth Schitel, Nancy Weimer, Sarah Testa & Maureen Sczcepankski/The Public House, Raclette’s/Sandra, James Davide, and Jan Wood. Thank you for your sense of community support and generosity! 10. AND FINALLY, TO THE AUDIENCE, AND THOSE CARING PARTICIPANTS, WHO TOOK THE TIME OUT TO ATTEND THIS BENEFIT TO SUPPORT A GREAT CAUSE, WITH MUSIC AS THE UNIVERSAL LANGUAGE THAT BRINGS US TOGETHER FOR ANOTHER SUCCESSFUL YEAR! 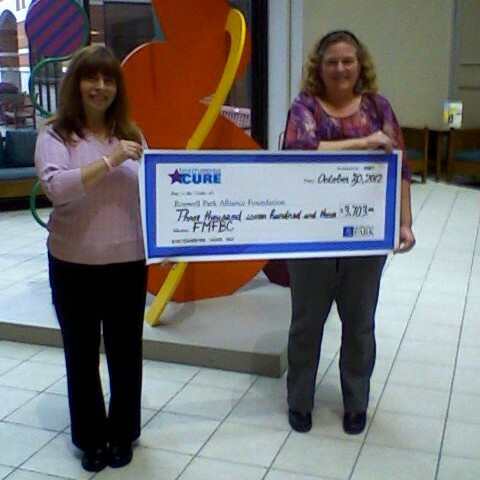 WE RAISED $4,150 THIS YEAR! GIVE YOURSELVES A PAT ON THE BACK! !